Canapés make ideal party food! 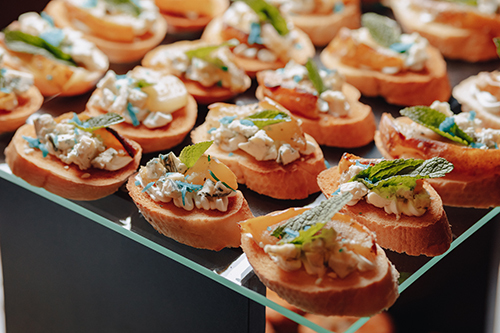 Whether you are serving canapés with your pre dinner drinks, hosting a short drinks party or having a canapés only evening, these bite-sized morsels are guaranteed to impress your guests. Our canapés are dainty, delicious and elegantly presented.